The title may be a mouthful, but the upcoming comedy Mike and Dave Need Wedding Dates is putting together one hell of a cast full of talented young actors. Now they’ve added one more, as Aubrey Plaza has joined the festivities. Variety reports that the Parks and Recreation, Safety Not Guaranteed, and The To Do List star has signed up to appear alongside Zac Efron, Anna Kendrick, and Adam Devine in the brewing comedy. You can currently check out Plaza in Ned Rifle, the third film in Hal Hartley’s quirky, long-gestating trilogy that began with Henry Fool in 1997 and continued with Fay Grim in 2006. In Mike and Dave Need Wedding Dates Efron and Devine play two immature, hard-partying brothers. When they become desperate to find dates for a wedding, they place an online personal add hoping to score a couple, only they meet their match in a pair of ladies who party every bit as hard as they do. Jake Szymanski is set to direct, and the script comes from Andrew J. Cohen and Brendan O’Brien, who are coming off of last summer’s surprise hit in the R-rated comedy Neighbors. From the description, this looks to fit in nicely with their previous effort. With this cast in place, as well as the creative team behind the scenes, Mike and Dave has the makings a damn good time. Let’s take a closer look. Zac Efron has gone from pretty-boy, Disney channel dreamboat to showing that he has a pretty good sense of humor. That’s never been on quite as full display as with Neighbors last summer, which wound up being one of the funniest movies of the year, and saw him play off of that wooden bro stereotype with hilarious results. Of the two brothers of the title, he plays Mike, and this outing sees him reteam with Aubrey Plaza, as the two recently finished shooting the road trip comedy Dirty Grandpa together. Mike and Dave Need Wedding Dates is also a reunion for Plaza and Anna Kendrick, as they both play sarcastic supporting characters in Scott Pilgrim vs. the World. Kendrick certainly has a varied resume, one that includes Tony Award nominations for her stage work, a hit single, and appearances in everything from twee indie dramadies like Happy Christmas and Drinking Buddies to big Disney musicals like Into the Woods and even a stint in the Twilight realm. We’ll get to see her flexing her vocal chords next month in Pitch Perfect 2. Her character in Mike and Dave is described as a wild child, and is the one who reportedly winds up paired with Efron. Keeping with the theme of reunions, Mike and Dave Need Wedding Dates brings Kendrick back together with her Pitch Perfect costar, Adam Devine, who also has a bit part in Neighbors. 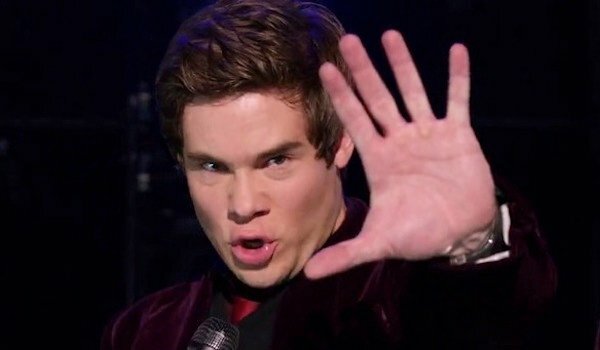 Most known as one of the leads on Comedy Central’s Workaholics, Devine struts as the brash, cocky, a capella rockstar Bumper Allen in the Pitch Perfect movies, and the sweet, innocent manny on Modern Family. But it’s playing the heel where he really excels, and from the description of his Dave character, he’s going to have ample opportunity to go wild. Mike and Dave Need Wedding Dates is scheduled to hit theaters July 8, 2016.